A new bread for a new season. 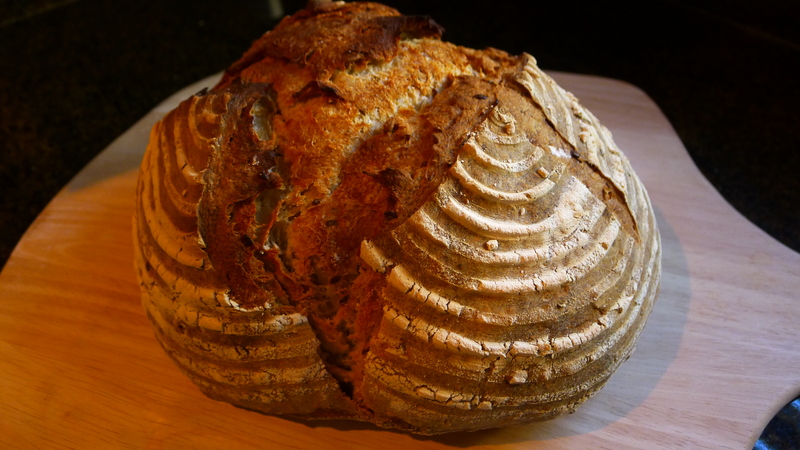 This bread is a keeper… nice crunchy crust and an airy, chewy crumb. The seeds added some nice texture too! 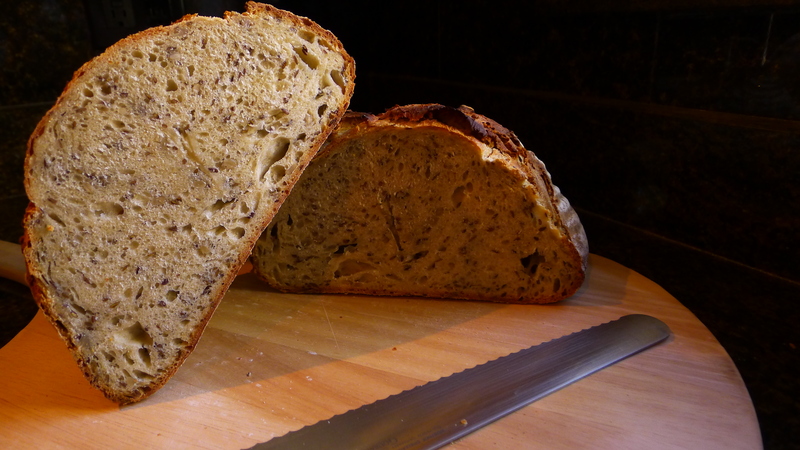 I used the same recipe as in my previous post on rye pain au levain but shaped it differently and exchanged the rye flour for equal parts flax and sunflower seeds. I made one large boule and baked it for 52 minutes (internal temperature reached 206 degrees F). 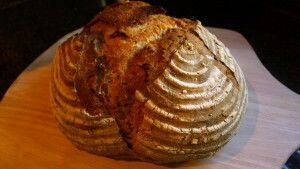 I experienced the same problem w/ the bread bursting at the seams and distorting the shape from the excellent oven spring. Next time I’ll try making 2 smaller loaves to see if this resolves the problem.